25% of the students failed the exam. A quarter of the students failed the exam. Exactly a quarter of the students failed the exam. Posted in: general, vocabulary, words, writing. When describing a graph, use percentages creatively to show your range of language. 4% of students failed the exam. The above sentence is accurate. 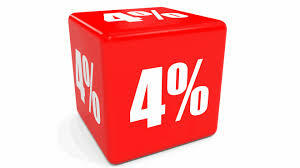 There are other ways to refer to 4% though. A tiny fraction of students failed the exam. A very small number of students failed the exam. Very few students failed the exam. An almost insignificant proportion of the students failed the exam. A minority of students failed the exam. What could you write instead of 25% ? Or 24% ? Or 32% ? Posted in: graphs, vocabulary, writing. 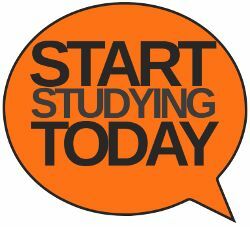 How to improve your English vocabulary before your IELTS exam. Some English language students don’t seem to realise that the responsibility for learning is theirs. It is the student who has to commit to learning and make the effort to improve. Too many students complain that they don’t understand all the vocabulary in a reading but then do nothing about it. Sometimes, you simply have to get your dictionary out and look up the meaning of each word. This system really works. Do you do it or do you give up? Look at these words. I’ll bet that you don’t know the meaning of most of them. A serious IELTS candidate would now take out their dictionary and find out the meaning of each of these words. What kind of words are they? Verbs? Nouns? Adjectives? Can we use them to make other words e.g. a verb to noun transformation : ratify > ratification? What about opposites and synonyms? How do we pronounce each of the words? A serious IELTS student would try to use each of these words in a sentence – in both written and spoken form. You can hear words said here or you can read this post. You can also simply type “define nullify” in the Google search bar to see a definition and hear the pronunciation. Google is your IELTS friend. Why not challenge yourself to use a word or phrase? I wonder whether you do all of these things. I wonder whether you are really making an effort to improve your own vocabulary. Carlos and Jia Chen certainly weren’t (oh no! I mentioned their names 😉 ) but hopefully they will start making an effort after today. Serious students have to take responsibility for their learning outside the classroom as well as inside it. Are you looking for a teacher to help you to get the grade you need in your IELTS exam? Do you want someone to push you so that you make fantastic progress? There are discounts available at English Only for IELTS students from IELTS Only. If you are looking for online IELTS classes with a qualified and experienced teacher, use this contact form. You’ll get a 10% discount. Posted in: reading, speed, vocabulary. 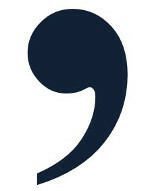 Many IELTS students and other people learning English seem to have problems with the use of the comma when punctuating sentences in English. 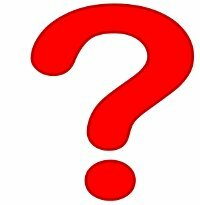 It is really important that you try to use punctuation correctly in your IELTS exam. Posted in: editing, punctuation, words, writing.